I don’t normally review gear, but I’ve gotten a few pieces of gear that warrant reviews. 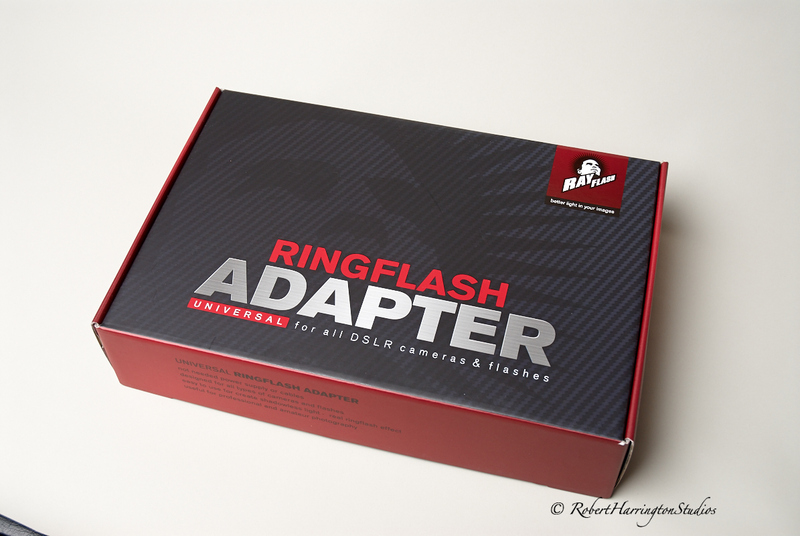 The first is the improved Ray Flash Ring Light Adapter for small flashes. I have the old Ray Flash and like it but don’t love it. If you have ever used a ring light, you know they produce a shadowless light on your subject but are very, very bright and also obtrusive and unwieldy on your camera. 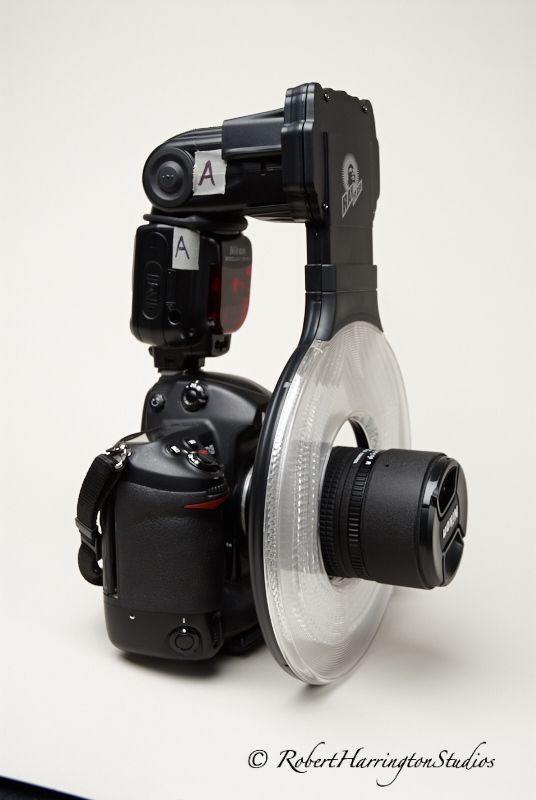 It is a look that goes in and out of fashion, but it is a good piece of gear to have on hand just in case or to be used as on axis fill or even and off camera fill or key light. 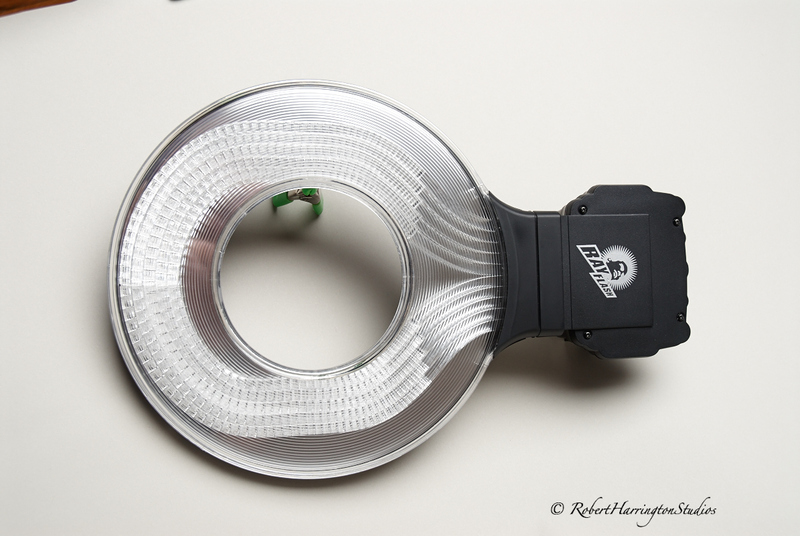 For my Hensel strobe ring light, I had a custom grid cut by Honey Grids and have used it as a hair and separation light. This is the box it comes in. It says Universal, but that is a misnomer and we’ll talk about that later. Now to some test shots. After my sitting with Crysta, I took a few test shots for this post. 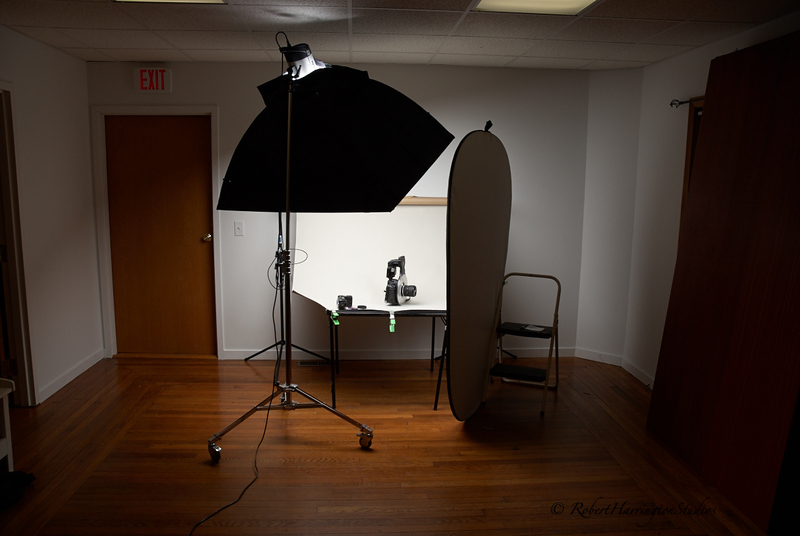 The first shot is with the old Ray Flash, Nikon D3, SB910, Program Auto mode, TTL on the Flash on both test shots. Look at the light coverage on the top and bottom of the frame: it is dark. I shot nearly the same frame with the new Ray Flash and the same settings on my flash. The coverage is better on the new unit due to the upgrade on the flash tube system and the bigger reflective surface for the light. The new version throws more light from top to bottom and gives a better result out of the camera. 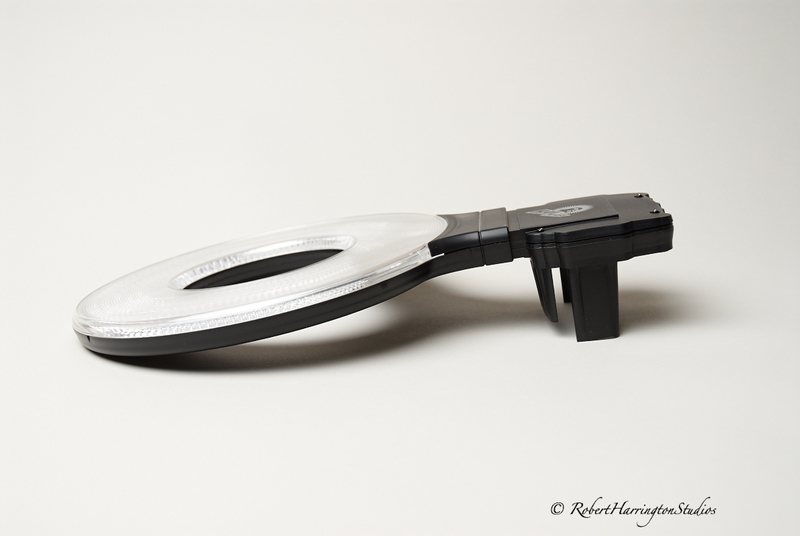 The Ring Light look is a look that is common in photography and many photographers use it in different ways. I like but don’t love the look; however, it is a good tool to have on hand when the need arises. Overall, I like the improvements in the Ray Flash. It is brighter than the old unit and the spread of light is broader. 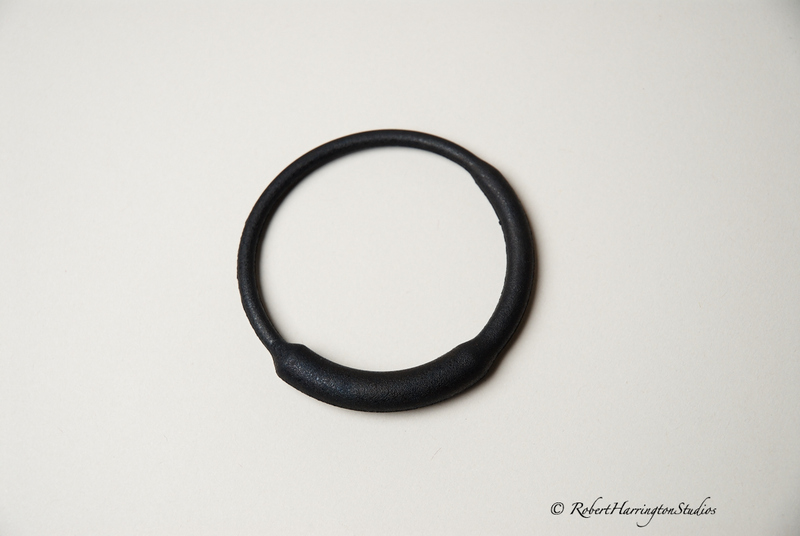 The rubber ring is a pain but for the amount I’ll use it, it isn’t so bad. 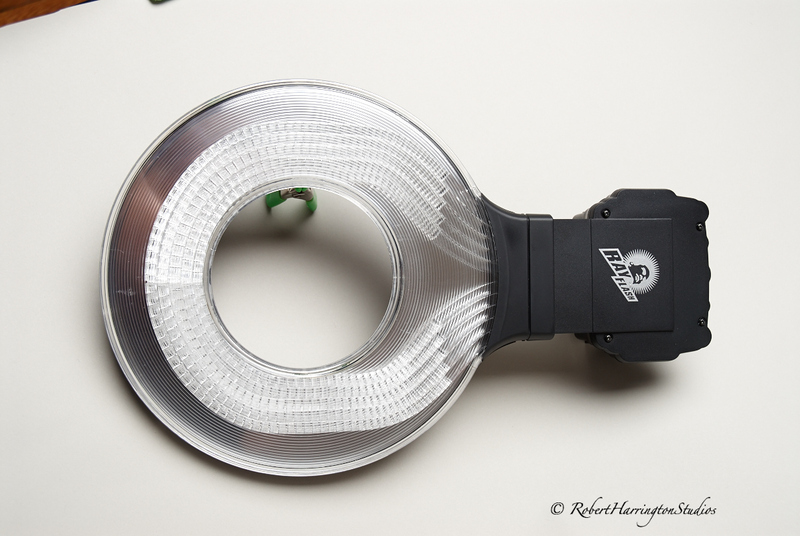 If you are looking for a ring light for small flashes, take a look at the Ray Flash. I like but don’t love it, but it works well when used properly. For all you looking for some teaching, I shot the products like this. Every photo above is unretouched, directly out of my camera flaws and all. 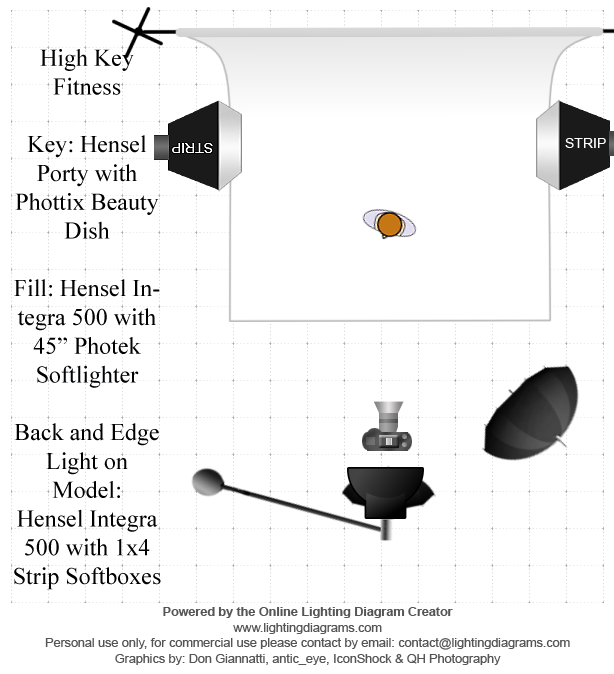 Hensel Integra 500, Chimera 36 x 48 softbox, Impact 42 x 72 white reflector. 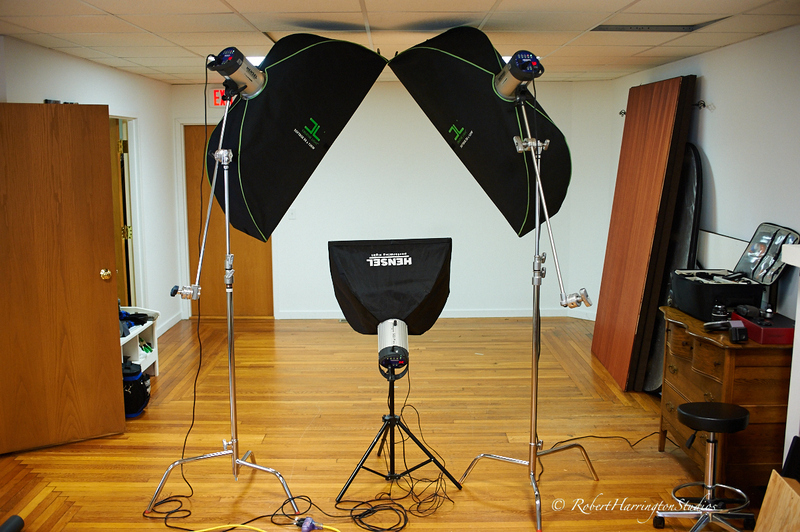 Yesterday I ran a location lighting workshop with BH Photo Event Space in Herald Square. For the first time ever, the BH Photo video team of Matthew and Zee followed us around Herald Square shooting video of the event. I’ll post a link when it is up in about 2 weeks. Here are a few shots from the day. Many thanks to Expoimaging for sponsoring me, which allows me to run these events successfully. A few weeks ago I photographed Laurel for a body transformation project she was doing in order to become a fitness model. I love shooting fitness. It highlights the physicality of the human form at its peak of performance. We rented the small studio space at Photo Connections in Colchester, so I have to thank Mike and Jeanette for doing that for us. Onto the shoot. I used my Hensel strobes here for plenty of power and fast recycle times, plus I did multiple lighting looks so I had to bring along a lot of different gear. 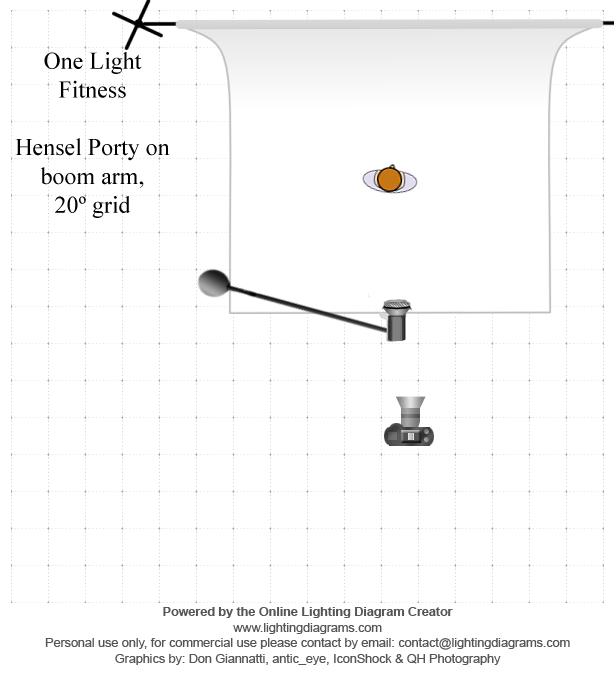 I wasn’t able to take BTS shots as the space was so small, but I did diagrams for you to see. One of our very first shots is my total favorite. Laurel was prepping and I was testing light position. For our second look, we went for the magazine cover, something like you would see on a Shape or Fitness magazine. High key with a fun, simple pose. Then we went to a more detailed look. I wanted to highlight body parts to show her musculature and shape. Finally, we ended with the P90X high contrast shots showcasing her back. For these shots she oiled up using and old bodybuilder trick: Pam Cooking Spray. That’s about it. The fitness shoot encompasses a lot of fun detail to really bring out the physique. It’s fun and inspiring!! Till next time, get fit for Summer! I’m always on the lookout for new ways to light my clients. While I may never use a particular setup, I keep trying new things to improve my work and add new ideas to my repertoire. When I teach my workshops and classes, I stress to my students that you may never use a particular technique, but it is always good to experience it so that it now exists in the back of your mind. I found this lighting technique on the Profoto blog one afternoon and decided to try it. I don’t own all the gear that they used, but I achieved the same look with what I had. I liked how the light was contrasty and smooth without using a hard source, like a ring light, which can be obtrusive on the camera and harsh on the subject as each blast of light is bright and unforgiving. 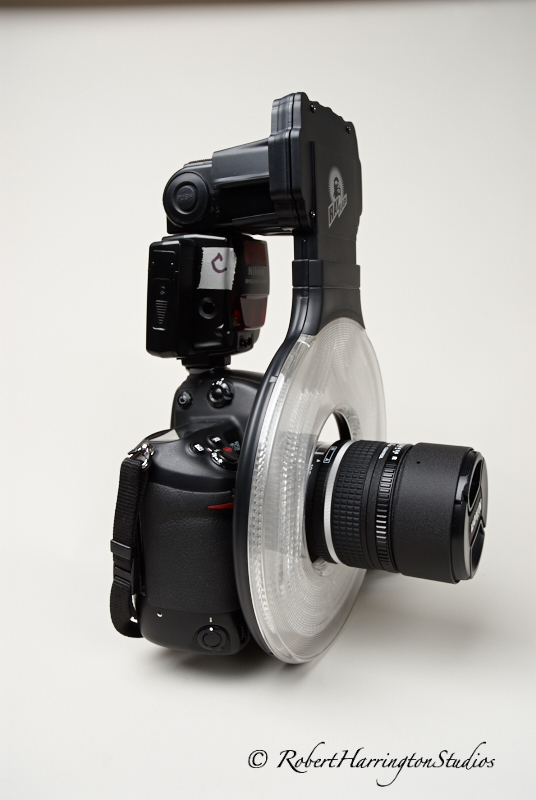 This is a different take on the ring light. 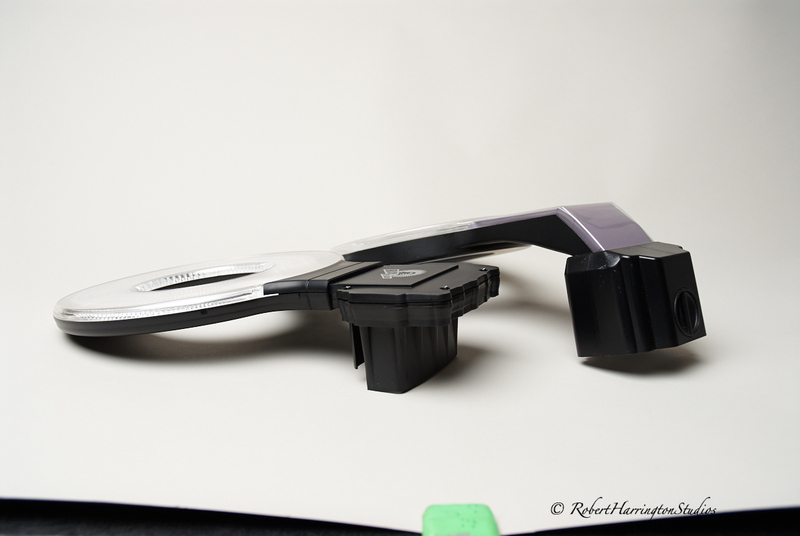 I liked the overall output and quality of light from the setup; however, I think a 3 or 4 foot strip soft box would do better as the bottom light. Here’s a straight-out-of-the-camera proof, showing the catchlights and how the light is soft, filling, and has that beautiful contrast of a ring light without its harshness and telltale round catchlight. 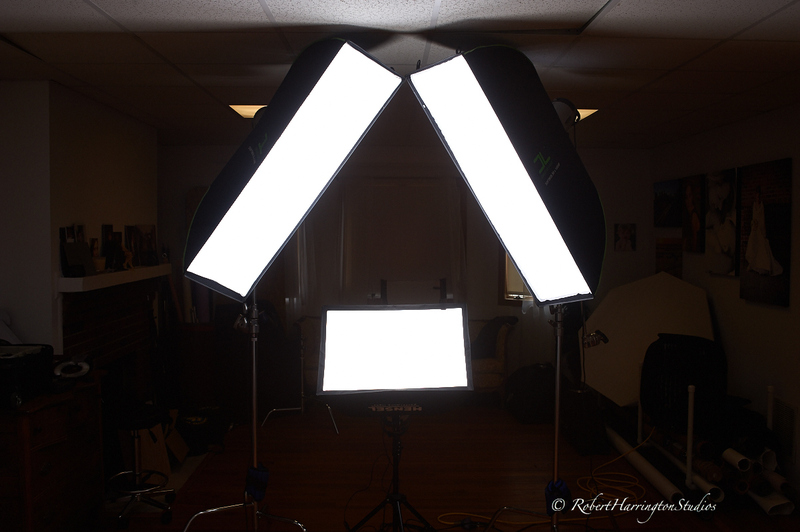 I enjoyed practicing with this light setup as it is really a unique take on the traditional over and under beauty light setup. It was fun and I would definitely use it on a client who wants that soft, flattering, smooth light. Keep trying new techniques. 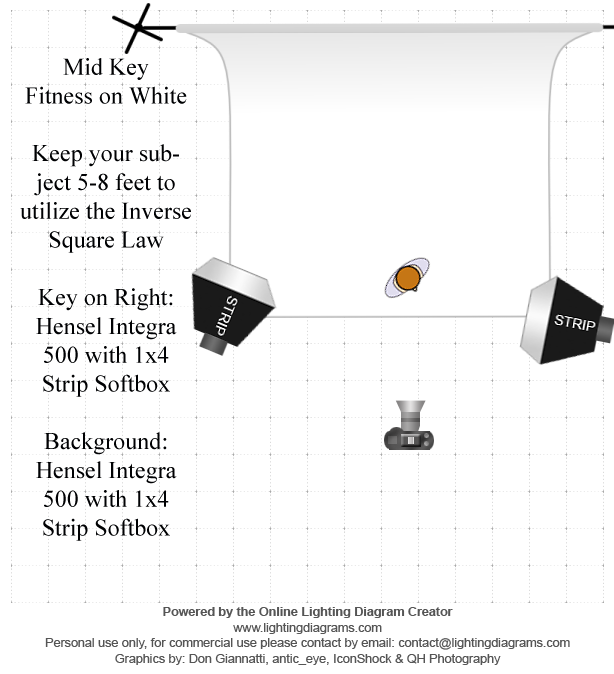 You never know, you may just find a new method to add to your lighting repertoire or even take a hint from one technique and use it with another. That’s it for now. Till next time, keep it new and fresh! 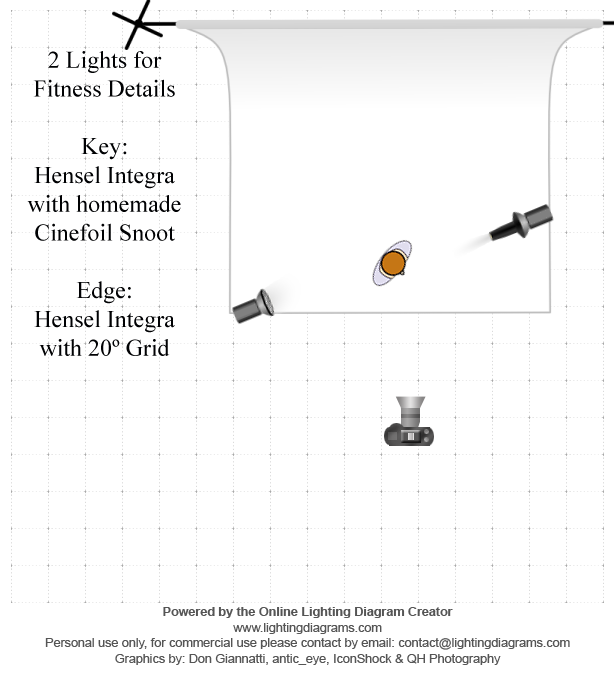 I want to share a great lighting technique for the high key beauty headshot. This technique gives you a simple high key look and is easy to execute; however, you’ll need a few pieces of gear. 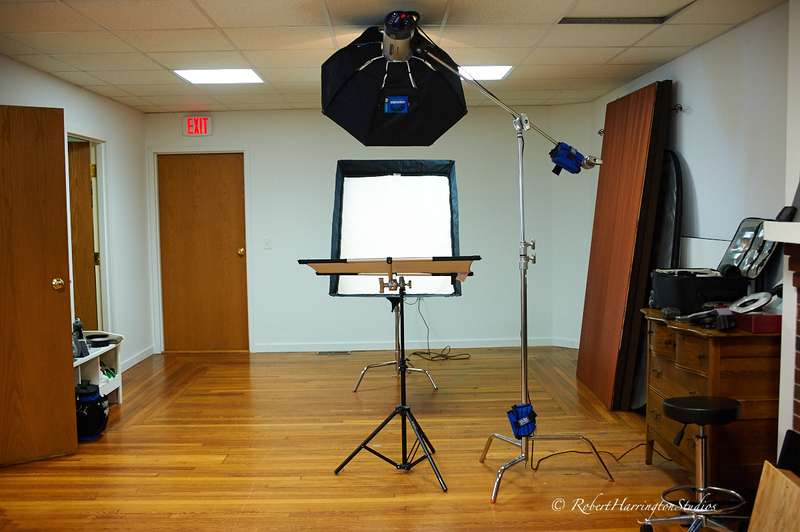 For my Key Light, I used a Matthews 40″ C-Stand with a Matthews 40″ Hollywood Grip arm to get my light above and keep the light stand off to one side for a perfectly centered key light over my reflector. Here’s a final after only minor adjustments in Photoshop. I love this look as it wraps your subject in light and the back light adds separation and edge light along the chin line with only two lights. Except for removing a few skin blemishes and a a couple of stray hairs, the final is just about how it came out of the camera. The most major adjustment you may need to make is to add some blacks in Camera Raw or Lightroom. The backlight has a tendency to reduce contrast as it wraps around the head, so just pull the black slider to the right to add the contrast back and that’s about it. I love this look. It’s simple and fun and the results are amazing. 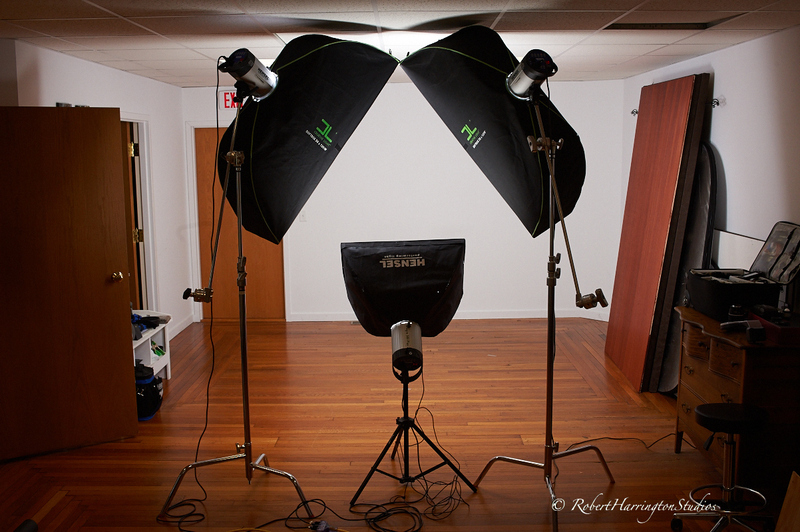 I’ll be heading down to Paterson, NJ next Saturday for a speed light intensive workshop. I’ll be working at the studio of Taryn Truese, formerly of Unique Photo and now off on her own. Some come and join the fun! Don’t miss out on this day of fun and speed lighting with gear from Westcott, Expoimaging, and Phottix. WPPI this year was fantastic. I was certainly busy, giving 14 lighting presentations over the course of the three days I was there. I shuttled in between two buildings and had fun seeing a bunch of photography friends: Michael Corsentino, Allison Earnest, Rick Friedman, David Brommer, Scott Farestad, and a host of others! Here are a few more images from my time there. Chelsea was photographed during my 40’s Glamour presentation at the BH Photo station. I then went to the Expoimaging station to shoot Leticia wide open. I used an aperture of f/2 to shoot her under the light. I then swung over to the Phottix booth to shoot Veronica for one light high key. If you are a wedding or portrait photographer, WPPI is an amazing event that happens at a great time of year when the weather is moderate in Las Vegas, so you can enjoy the pool by day and entertainment by night. Next year may see me in Dubai for Gulf Photo Plus, so stay tuned for updates later in the year. Till then, Spring is around the corner!! My video on Youtube on shooting the 40’s Style Hollywood Glamour shot with speed lights went online yesterday. 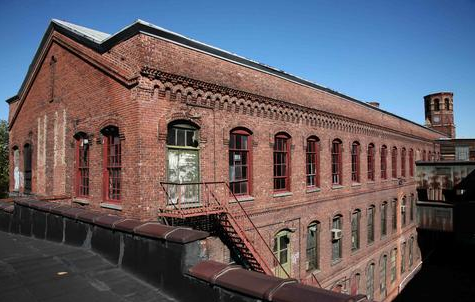 On another, sadder note, Calumet Photographic has shut down it’s US operations. With about 15 stores in the US, Calumet was a huge operation where I ran workshops in MA, VA, MD, PA, and NYC. Calumet was an institution in the photographic retail marketplace and was a wonderful retailer to do business with. I had the pleasure of working with them and will miss going to those locations. The message here: BUY LOCAL. Not Best Buy, but shop, purchase, and spend the tax money with your local retailers to keep them in business, like Milford Photo, Photo Connections, Camera Wholesalers, Camera Bar, and Barn Door Lighting. Keep the doors to the local guys open. That’s it for now. I’ll have more images from WPPI, my last workshop, and a fitness shoot soon. Till next time: Shop Local!! I’m here in sunny Las Vegas presenting at WPPI, the biggest conference and trade show for the wedding and portrait industry. My first stop yesterday was Expoimaging. 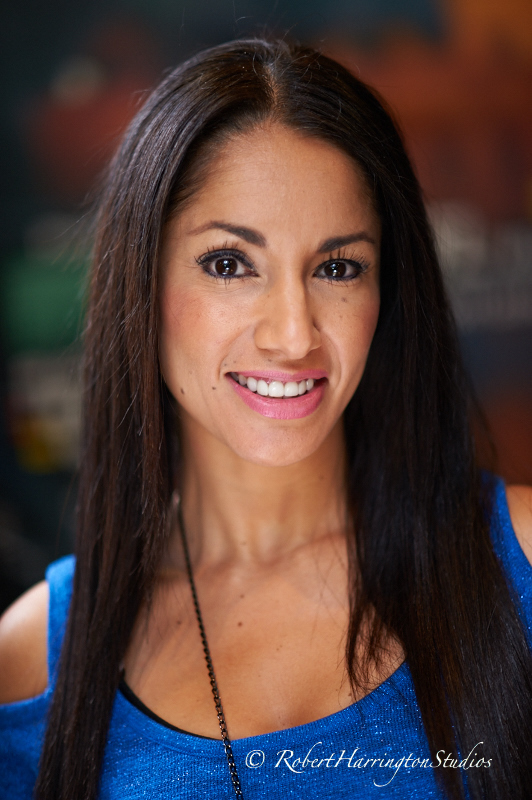 I used a Rogue XL Pro for a simple, single light portrait of Leticia. Then I headed over to the BH Photo booth and shot Jaffet under mixed light. 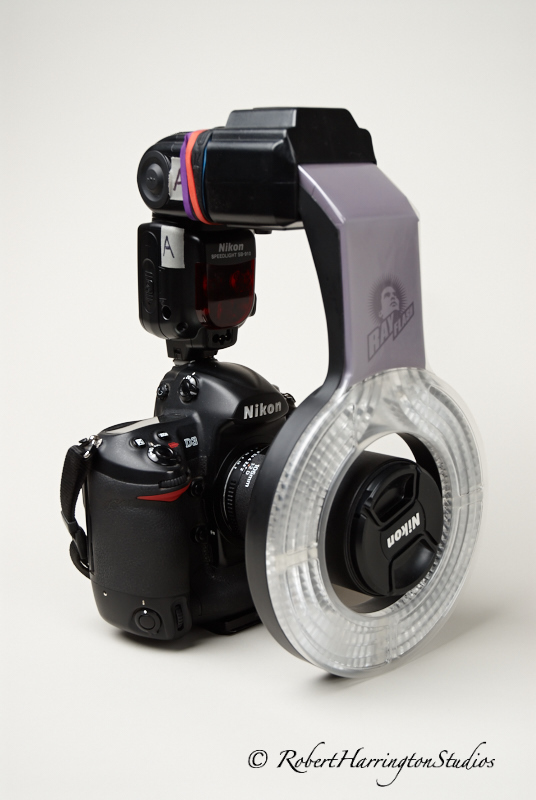 Key light is a Bowens Travelite with beauty dish and sock. Back lights for high key are two SB800’s with Rogue Flashbenders as flags. 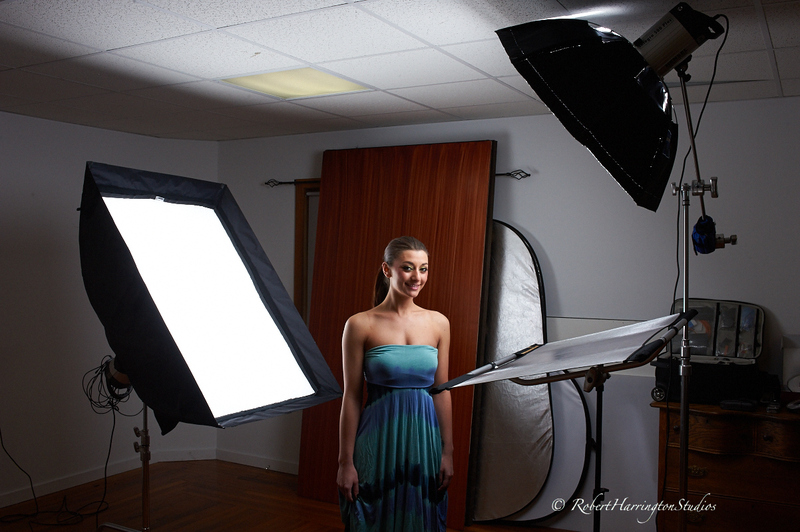 Then is was off to Phottix where I shot Veronica under the Luna Beauty dish and a 1×4 strip soft box with grid. 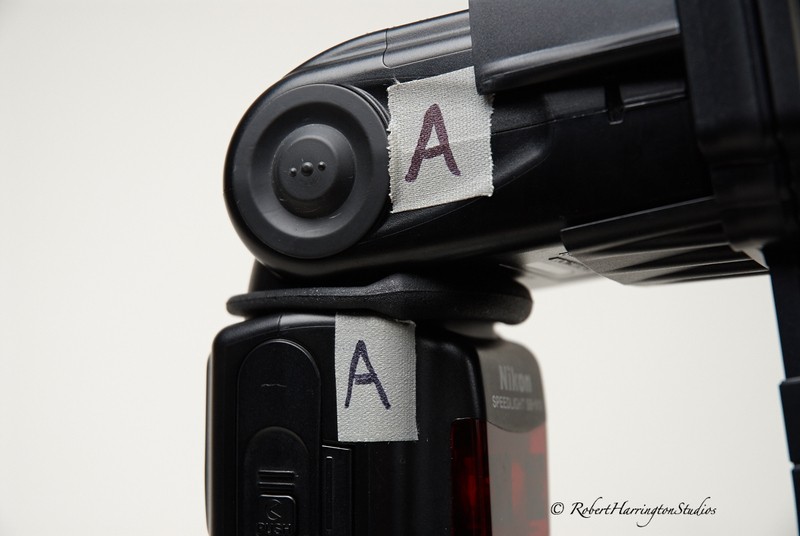 Both were using the new Mitros Plus flash and Phottix Odin for TTL shooting. Finally, I headed over to Unique PHoto and used the new Westcott Zeppelin Parabolic Softbox with Westcott Strobe attached. 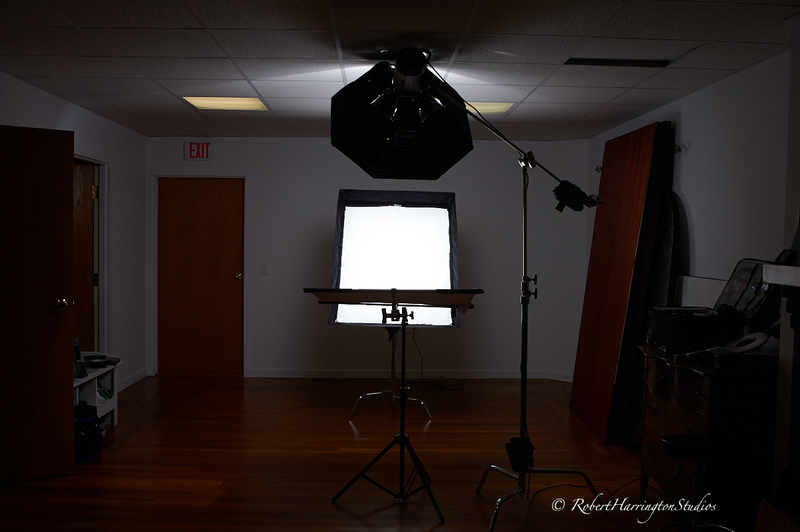 It was a busy day of shooting and teaching lighting. 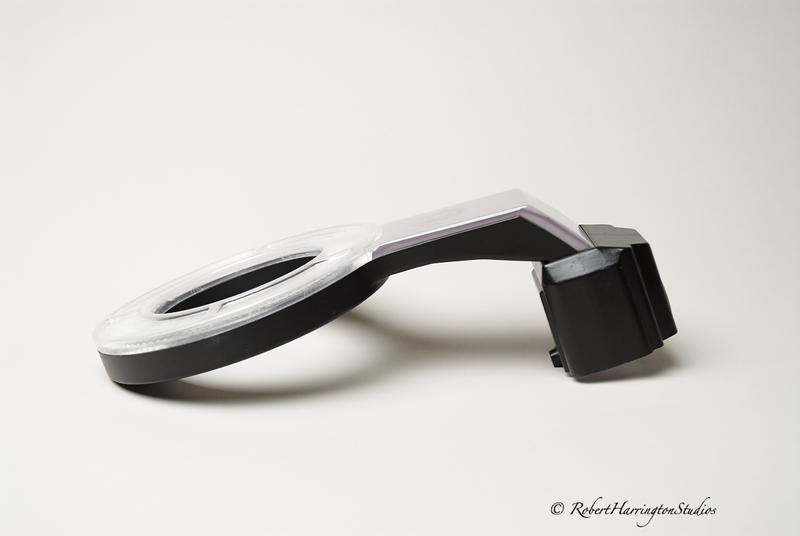 I had the awesome opportunity to shoot with the new Phase One 645 DF+ with the IQ250 50 megapixel back. It was amazing. Tiff images from this file are 249 mb! I guess for $50,000.00 you should get a big file.